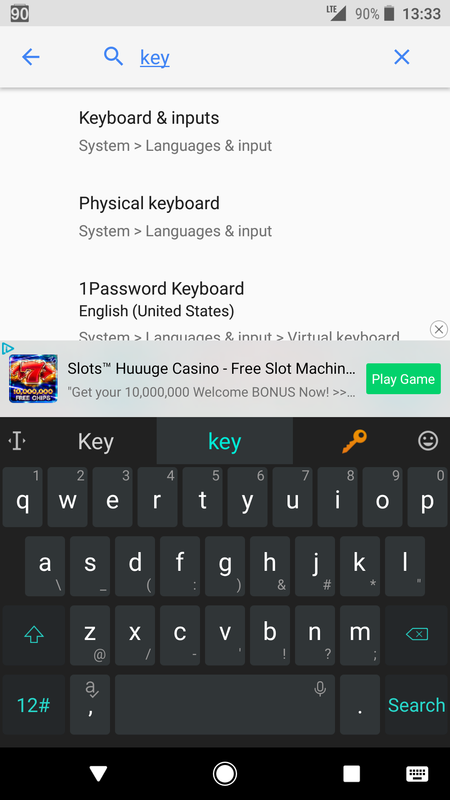 Users of Android-powered HTC 10 and HTC U11 report ads appearing on the top of the stock keyboard. HTC representatives responded by an advice to remove the latest update of an app called TouchPal. It is an emoji keyboard preinstalled on HTC. There is supposed to be no ads in the preinstalled version, but ads show in the free (trial) app downloadable from Google Play Store. It looks like the developers of the app have made a mistake and updated an ad-free app with the code prepared for the ad-supported app. HTC promised to fix the problem, but a massive resentment outbreak in social media has probably done its damage to the reputation of the company. TouchPal is a very popular application; so the problem could affect other devices. We decided to examine this keyboard. First of all to find out if it uses the entered text for targeting ads. We did not detect any typed text forwarding. But the app is connected to at least five ad networks and conducts pretty active traffic exchange. Any input from the keyboard produces about ten requests to third-party domains. In the first 10 minutes of usage, the keyboard downloaded 3 megabytes of information from the domains of advertising networks. It also sent to the ad domains about 100-200 kilobytes of data. As a result, a single keyboard launch costs a user some money paid for traffic exchange. Very little money, but the free app turns out not so free after all. What kind of data does the keyboard send to advertising services? A version of the device, OS, and browser, screen size, language zone and time zone, information about the network connection. Meanwhile, this is not the first time that advertising conquers new interfaces and locations, and it's not always clear whether it's an error or a testing of a new ad format. A few months ago, users of smart assistants Google Home and Google Assistant heard audio advertising in voice responses. The assistants have a MyDay option, which on request voices daily schedule, appointments, weather, reminders, traffic tips and other information. One day, having finished with the info, assistants added: "By the way, Disney’s live action Beauty and The Beast opens today". "In this version of the story, Belle is the inventor instead of Maurice. That rings truer if you ask me. For some more movie fun, ask me something about Belle". Google first responded to the press: "This isn't an ad; the beauty in the Assistant is that it invites our partners to be our guest and share their tales". They later added that it "was a part of our My Day feature, where after providing helpful information about your day, we sometimes call out timely content". One thing is clear: companies are looking for new ways to reach people with their proposals, announcements, offers, and deals. And we are looking for new ways to restrain and control these activities. If the news about advertising in keyboards earlier today made you decide to abandon Android devices and switch to iOS, think again. Developers of ad blocking apps Adblock and Weblock complained to the industry press, that their app updates were rejected by Apple.